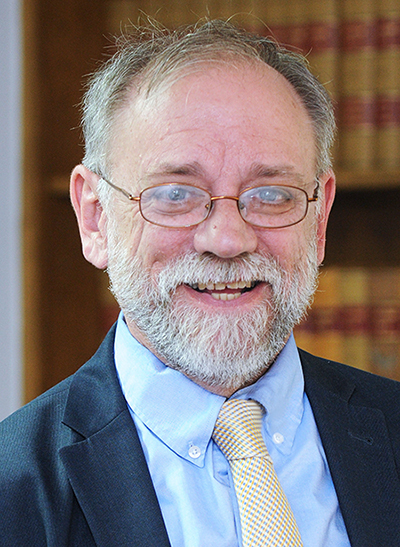 The practice of law may not be the best career choice for anyone looking for job security and stability, but attorney Elliot Berry has spent all 43 years of his professional life with NH Legal Assistance. Berry, 68, is a Detroit native and a graduate of the University of Michigan with a law degree from Boston College. He is the longtime director of NHLA’s Housing Justice Project and managing attorney of the Manchester office, where he answered the following questions for NHBR. Q. 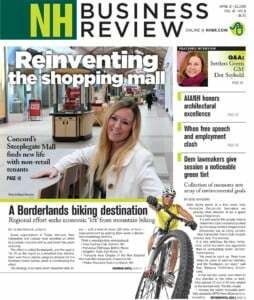 What drew you to a law career and, specifically, to NH Legal Assistance? A. I flirted with the idea of being a public defender, but then that seemed too bleak to me. Times have changed, and if I were younger I would take a look at immigration law. It’s an extremely frustrating practice. But it’s such an important issue and people are suffering so much. Q. Why did you focus on housing issues? A. I guess it’s because it’s pretty basic. I came with a desire to use law to level the playing field and to use law to maintain the basic necessities of life. I don’t think anything is more fundamental than housing. If you don’t have stable housing and education, you get drug abuse, alcohol, violence, personal safety issues. If you don’t have affordable housing, it’s extremely likely that the rest of life is going to unravel. Q. What can municipalities or the state do that they are not already doing to alleviate the problem? A. I don’t think there is a devoted and effective community service, first and foremost. Families in Transition-New Horizons has taken over affordable housing. I really do think FIT does a heroic job in getting people access to emergency housing, but to stabilize the long-term housing situation is a very, very steep mountain to climb, and we’ve got a long way to go. Q. What are the primary housing issues? A. Absolutely no question the priority for us is to help people maintain subsidized Section 8 housing. People in this program are poor enough. It goes directly to homelessness. Housing discrimination is something we spend a lot of time on. Sometimes we use bankruptcy to help homeowners in foreclosures, particularly Chapter 13, to give people a chance to get caught up over time. Another thing: Very early in my career, we did a few cases of exclusionary zoning. Coming from Detroit, that’s very important to me. Rigid restrictions in towns surrounding cities means cities like Manchester just become magnets for people of low income who can’t afford single-family homes on two acres of land. And we ultimately got really good decisions from the NH Supreme Court. Every municipality is obliged to provide reasonable opportunity for housing for low- and moderate-income people. It’s really taken a long time to be making any progress and changes in statutes regarding zoning. Now it’s pretty much enshrined in statutory law. The arc of history may be drawn to justice, but movement along the arc is very slow. Q. Do you still find discrimination in housing? A. Sure, but by far the greatest number of cases is discrimination against persons with disabilities and discrimination against families with children. No doubt people of color do encounter discrimination. I suspect there is a lot more of it than we know. Access to us is not easy. We’re a tiny organization. Not a lot of people know about us. Q. How well are landlords meeting their responsibilities? A. It’s hard for us to generalize in terms of landlords as a community. If you break it down by category of protection, for example on lead paint poisoning, overall they’re not doing very well. It just varies so much. There certainly are problem landlords and certainly are good ones, and everything in between. There are a lot of very specific requirements in the law about handling of security deposits. The easiest thing for landlords to do is to charge a lot for wear and tear and cleanup. A lot of times, tenants are not given a list of defects and allowed to question it. A lot of times, tenants do damage and landlords have a perfect right to keep [the security deposit]. They need to provide bills and invoices. Some landlords are very vigilant, some rather lax. The remedy for either party is the small claims process. In most cases, that’s usually not utilized. Q. Generally, how well do tenants know their rights under the law? A. If you talk to landlords, all tenants know how to work the system. I think there is reasonable access to information, which a lot of tenants have, but clearly we get callers on a regular basis who have no clue. They don’t know they have a right to a hearing. I think, as in many cases, the elderly tenants are more likely to be uninformed. They probably need more encouragement to exercise those rights, like the right, until the expiration of the eviction notice, to stay and pay. Q. How do you view the proposal to allow landlords to charge the equivalent of two months’, rather than just one month’s, rent as a security deposit before moving in? A. The typical low-priced unit in Manchester and in the rest of New Hampshire is over $1,100 a monthly. Add $2,200, and it gets up to $3,300 required up front. That’s an extraordinary barrier to access to housing. I think the consequences would be disastrous. Q. What is driving rent prices so high? A. It’s fundamentally a supply-and-demand problem. The creation of new housing units is really, really expensive. In places like Manchester, where an awful lot of the city is built out, and then in the suburbs where there’s plenty of land, zoning restrictions add to the cost of development, making it so high that it pushes all but the reasonably wealthy out of the market. The regulations – whether it’s impact fees where there is a whole panoply of requirements that I think are unnecessary, like large lot requirements – add to the costs and the burdensome restrictions on multifamily housing. There are issues about cost generation and impact fees that are really onerous. I think, from a societal point of view, we keep losing young people that municipalities are supposed to serve, not the other way around. Q. The argument has long been made that more residential housing brings in more families and more cost to the school system. Does it? A. School populations are declining. A lot of that is interesting, given the facts on the ground. Q. Do municipal planners take those facts into account? A. In theory, the law is supposed to require that. I think developers find it’s a real dogfight over that issue. Q. Governments at all levels have been coming up with plans to end homelessness for years, but the extent of the problem, it seems, never varies in good economic times and bad. A. I do think it’s more variable than you think, but you’re right, the problem never goes away. And the single most important factor is the lack of affordable housing. It’s also an income issue in that too many people, even when working, don’t make wages that enable then to afford the high cost of housing. Secondly, there are issues of mental health. Community mental health facilities deal with substance abuse issues. It’s hard to talk about the homeless in broad strokes. Thee are a lot of subpopulations. Q. Are there other factors involved in the high cost of housing? A. I certainly would also blame the cost of labor and materials. Those certainly are significant factors. Even nonprofit developers with some degree of public assistance have a very hard time bringing in units at a reasonable price. I’m glad union workers are getting paid what they’re worth, but anything that increases the cost of housing makes it tougher for those on the lower end. Q. Would a higher minimum wage help? A. I think it would help a lot. All we have is the federal minimum wage of $7.25 an hour, and that’s ridiculous. The problem, though, is that as wages increase, I fear that real estate prices would also increase because of people’s enhanced ability to pay.